The Greenest Energy Is Saved Energy. Next-level cooling efficiency, easier than ever. Everything was thorough as far as completion of everything and the installation. All information given at the presentation was exactly what happened all the way till the end. All involved parties were professional and had answers to my questions. The presentation was excellent and done very well by Eric. He made it so clear that I had very few questions It was very easy and smooth transaction, he wasn't trying to make us do something we didn't want to do. The sale was very easy. The installers were very professional, the introduction to Nathan and his crew was great. They went right to work and got the job done very quickly. Communication on my project was great! I love working with people that tell you what they are going to do and then do it. I did some research on the fan and insulation they put in and they are good products so I am excited to see the savings. They are not the cheapest outfit in town so I'm holding back the five star review, but bottom line, they let you know what your going to get and give it to you. Quality company. We had the installers from Eco Experts,with Nathan as the lead Forman,install our newly purchased solar blanket attic insulation material ,air purifier system,solar attic exhaust fans and an additive called Blue Max, to our AC system which prolongs it's life and increases it's efficiency. The entire crew of 4 men were extremely knowledgeable, efficient and very polite completing the job within one day. My wife and I were invited to a seminar/demonstration last week of these products designed with the same technology used by NASA for space craft protection ,ref extreme heat and cold temps while in space.We were totally amazed by it's properties and the effects it has on our way of life. We are consumers with 100% faith in these products. If you should get a chance the see this technology take the opportunity to see this for yourself. Eric did a very professional presentation and answered all of our questions. He was also the sales consultant and showed up on time, wasn't pushy and went over everything with the pricing as well. Nathan and the installers also showed up on time and was very knowledgable on where to place our fan when we had questions. They were more than happy to answer any questions we had and were very professional. The presentation and the dinner were very good, we were very pleased with the professionalism of the presenter and the meal was excellent. Nathan and the installers were on time and were very professional and certainly looked like they knew what they were doing. They had to take some things out of the attic and did so quickly and then finished the job in a timely manner. All explanations of the product and the way it was going to be installed were thorough. Bottom line we are very satisfied and are just waiting for the good results. The whole concept is amazing. It makes so much sense. Although we have solar, our system is far from efficient. Nathan and the installers were here the morning after the presentation, arriving on time. They worked so quickly and efficiently, explaining everything that they were finished in just a few hours. Having only had the system two days we have already noticed the hot spots and cool spots have disappeared. We are looking forward to being healthier and more comfortable for many years. Brandon was our host and he was really explicit and easy to follow. Great personality and I especially liked the prayer before our meal. He picked the perfect restaurant the steaks were delicious. Eric had a great personality and was very gracious, professional and polite. He explained everything and was also very explicit. What I liked is he wasn't pushy and let me make up my own mind. I would like to do business with him again in the future. Nate and his install crew were very very professional, very quick and very polite. They completed the job very promptly. They made sure everything was covered in my closet before they started the work and after the job they made it cleaner than when they started. They cleaned up whatever material that was left behind and I wouldn't mind having them come back to install again if I needed something else. The experience with this company has been terrific. First the dinner and Brandon who presented the products did an outstanding job. I think everyone was very impressed. Then the salesman Eric was kind and patient I think I used a bit more of this time than was expected but he answered all my questions and concerns. Then the installers Nathan and his team were thorough and did a great job I got to see a picture of the attic when they were finished putting in the insulation. Eco ***EXPERTS***!! I highly recommend their work both the MLI and the attic fan work great and my house is much more energy efficient now. The presentation was very informative, they came to the house, gave me an estimate and it was just what I anticipated. The salesman went through the consultation, I decided to get it done and I'm very happy I did. The install team was very neat and clean they did a good job in the attic, they were thorough and were on time. They worked hard and cleaned up after themselves and took care of everything in my house. Approximately 3 months ago, I had the pleasure of doing business with Nathan Durlester of Eco Expert. I would highly recommend Eco Expert to my family, friends, and co-workers. the entire M crew including Nathan and Eric were very professional from the presentation to the installation. The gable fans and the insulation has served to lower my energy bill.while keeping my house cooler in the summer. Nathan, Glen & Dakota just spent several hours installing a new type of insulation and fan for their company. They were efficient, professional and personable. When finished with the installation they cleaned up and left everything neat and tidy. They took pictures of their work to share with us. I had a lot of questions regarding the Better Air installation and Nathan was wonderful about answering all my questions. I was impressed all around. As a note, my mother fell while these fellas were here and they were great about helping her back up and getting her on her feet. Thank you for everything!!! Great job!!! I would recommend the fan to home owners. Nate the Lead installer was very respectful. The install was quick and clean. They cleaned up after themselves very well. The fans are working great we haven't had to turn on the A/C. Since it has been cold we put it at 70 degrees and it has been keeping the house warm. I am John Vitone, and I attended the Eco Expert presentation at Frugazzis on July 6th. First of all, I like to say that the dinner was very delicious. I have never been there before, Anyway, the presentation went very well. Eric made the presentation very interesting and he seemed to be well versed in all aspects of the products he talked about.. I especially enjoyed the use of props he used to get his point across to aide in understanding. Joe came to the house that very evening to follow up on the presentation and to take measurements for the solar guard insulation. I was pretty much sold on all products following the presentation, so he didn't have to do much convincing on his part. However, he was courteous and able to answer any questions I might have had on the products and what I could expect during the install. The installers came ready to work on July 9th.. They were all professional and worked together to get the job done in a reasonable amount of time. They took pictures during the installation process to assure me of complete coverage of the solar guard insulation. They also allowed me to pear into the attic to see its appearance compared to what it looked like prior to the installation. The lead installer convinced me that it would be in my best interest to purchase the pro-biotic system for cleaner air and environment inside the home. Overall, I was satisfied with the installation process, beginning with the presentation and ending with the installation of the final product. 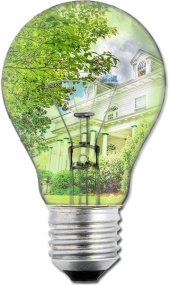 Homeowners today understand that investing in the right energy efficient solution helps their home become more efficient and is a smarter way to live. Being comfortable in your home and being conscious of your effect on the environment is quickly becoming a focus for informed homeowners.